Plagiarism ï¿½ How Do You Avoid it? Writing an essay is an important task that students have to deal with during their academic years. It not only helps them learn how to conduct thorough research about a particular topic, it also helps them understand the right way to communicate with others. But, the thing you need to understand is that an essay will never work in your favor, unless you know about plagiarism and the way to avoid it. No matter how much time you have spent in finding the most important and relevant sources, your essay will be a disaster if you don't cite them properly. Simply put, plagiarism is all about including someone else's work in your paper saying that it's yours. If you don't use adequate acknowledgement, it will be considered academically fraudulent. A student will have to bear with serious consequences if their work is found to be plagiarized. As far as plagiarism is concerned, it's not all about quoting others without references, but it's also about using another student's work saying it's yours. 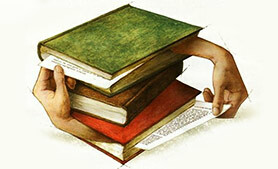 Therefore, it's important to take necessary steps to avoid plagiarism. For instance, even if you're working with a group of students, you will have to create your own reports based on data collected or analyzed by some other students in your group. You have to mention it in your report. Similarly, you should never forget to acknowledge the fact that you're drawing upon another student's ideas. Here, it is essential to mention that you will find yourself being charged of plagiarism if you misuse any previously published work. If you copy a paragraph from a published source without acknowledgement, it is cheating. Always remember to use such references in quotation marks and mention its source. Similarly, you're required to state the source even if you're simply drawing upon any material found in a book, article or website. So, take these precautions to ensure your efforts don't go down the drain.